An interactive 3-day training course that provides individuals and communities with a climate adaptation toolkit to proactively address adaptation planning in the context of local government priorities. The course it taught by NOAA's office for Coastal Management and local partners. 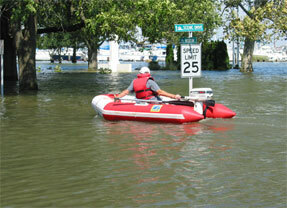 You will learn about climate adaption efforts from expert practitioners working in Maryland. Through both individual work and group discussions, you will apply what you learn in each module and identify and document steps that your organization can take to effectively integrate climate adaptation strategies into policies, plans and programs.